Practical Folding Handcart Deluxe Red with Strengthened Base Maximum Load 70 kg by Kid 'n Joy at Notakem Bara. MPN: 10212. Hurry! Limited time offer. Offer valid only while supplies last. The lightweight alternative to a normal handcart / dolly. 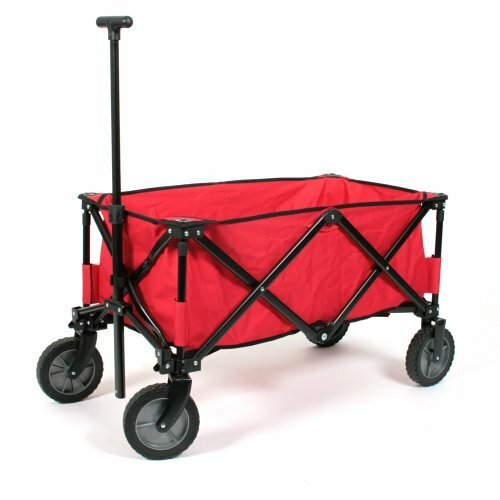 This folding handcart is easy to carry and can be assembled with a unique handle. The aluminium frame has a load-bearing capacity of 70 kg. The 4 large wheels ensure maximum comfort. The handcart is easy to unfold. This handcart can also be used on the beach. This multifunctional cart can be used for all manner of things. If you have any questions about this product by Kid 'n Joy, contact us by completing and submitting the form below. If you are looking for a specif part number, please include it with your message. Zipfy Freestyle Mini Luge Snow Sled 250 Lbs.